"I look for that set of circumstances that makes this vision a once in a lifetime experience for me and the viewer." Mr. Rada's strong academic background is evident in his command of visual vocabulary encompassing his understanding of color theory, form and composition; all of which he executes with equal ease in oils, pastel and charcoal. Emerging into the art scene from New York's Art Student's League, Rada rejected the Pop and Minimalist movements as too narrow a channel to convey charged emotions and the full intellect of the artist. He is an intellectual rationalist who employs realism as his vehicle. This rationalism stems from his early education grounded in the classic Greek and Latin authors. He received his B.A. degree in Classics from St. Peter's College in Jersey City prior to entering The Art Student's League of New York where he studied Drawing and Painting under Frank Reilly for four years. He won prizes for his oils and pastels in both New Jersey and New York early in his career. 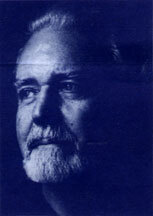 Throughout his career he had been active in a number of artist-run organizations where he has served as an Officer of the Founding Member. 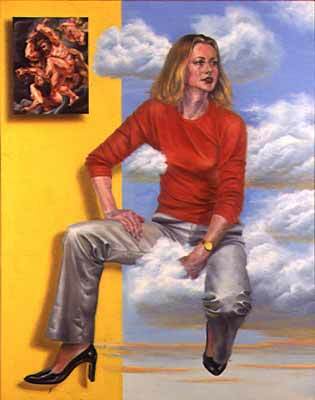 Among them the Figurative Alliance, Artists' Choice Museum, New York Portrait Painters Society, Lenox Hill Artists Forum and Artists Talk on Art. Most recently he was an Artist/Consultant to the NYC Board of Education for which he has designed a series of Fine Arts courses for teachers. He had been guest lecturer at The Metropolitan Museum of Art and an instructor at Marymount Manhattan College and the Craft Students League of YWCA of Manhattan. He had exhibited regularly in Soho and on the East End of Long Island in addition to annually with the 14th Street Painters at The Earl Gallery. As a portrait painter, he has an impressive list of prominent business and society clients. Included among them is the late James Beard for The James Beard Foundation. However, the scope of his work includes cityscape, landscape and still life variations. George A. Rada married Jacqueline Sferra Rada who is also an artist and painter.